PPG has announced nine Excellent Supplier Award recipients for superior performance in 2016, including its first Supplier Sustainability Award winner. The new PPG Supplier Sustainability Award recognizes a supplier that demonstrates an industry-leading sustainability and safety culture and that is helping PPG meet its 2020 sustainability goals through the goods and services it provides to the global coatings and materials manufacturer. 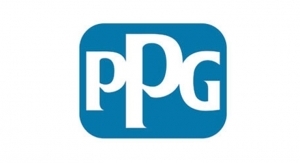 Based on 2016 performance, PPG named Olympic Forest Products Co., a Cleveland-based pallet management company serving PPG’s businesses in the United States, as the premiere Supplier Sustainability Award recipient. 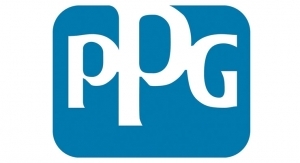 On an annual basis, PPG purchases approximately $7.5 billion in goods and services globally from thousands of suppliers. The company’s criteria for Excellent Supplier Awards include quality, commercial value, delivery, documentation, innovation, responsiveness, sustainability and participation in PPG's Supplier Added Value Effort ($AVE) program. Alchemy Media, a media agency in Harrogate, England, serves the architectural coatings – EMEA (Europe, Middle East and Africa) business. Chromaflo Technologies, with headquarters in Ashtabula, Ohio, supplies tints and colorants to the architectural, automotive refinish, industrial, and protective and marine coatings businesses in North America, South America, Asia Pacific and Europe. Complementos Coby S.A de CV, of San Pedro, Nuevo Leon, Mexico, supplies PPG Comex and the industrial coatings and protective and marine coatings businesses in Mexico and Central America with sundries products. EMFI SAS, with global headquarters in Haguenau, France, provides polyurethane sealants to the PPG Comex architectural coatings business and the industrial coatings business in Mexico. 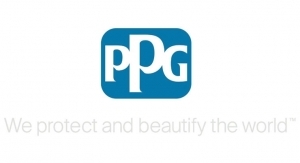 Mi-T-M Corp., Peosta, Iowa, supplies pressure washers through PPG’s architectural coatings stores and dealers in the U.S., Canada and Puerto Rico. Olympic Forest Products, winner of the first-ever PPG Supplier Sustainability Award, provides wooden pallets and services to PPG’s architectural coatings, automotive refinish coatings, industrial coatings, automotive original equipment manufacturer (OEM) coatings, protective and marine coatings, and specialty coatings and materials businesses in the U.S.
Penske Logistics, headquartered in Reading, Pennsylvania, has provided dedicated lift-gate truck fleet service to PPG’s architectural coatings business in the U.S. and Canada since 2006. Schϋtz, with global headquarters in Selters, Germany, equips the automotive refinish coatings, industrial coatings, automotive original equipment manufacturer (OEM) coatings, and packaging coatings businesses in North America, South America and the EMEA region with intermediate bulk container (IBC) packaging systems. Tower Sealants of Oklahoma City supplies products through PPG PAINTS stores in the U.S., Canada and Puerto Rico.